This week’s Top 10 show is one of the more interesting topics of the last several months. It allowed John and Matt to talk about some different movies that we don’t usually hear about. In honor of Skyscraper, the Rock’s new movie coming out this weekend, the boys did the Top 10 Families in Danger Movies. There were a lot of different genre of movies that worked for this topic so we have horror and we have action/adventure and big blockbusters. It took a while to find the films to work on my list. There were many on the side list as well. #10. Contagion. A great cast is involved in this film about the spread of a virus that would kill its victims in a few days. Director Steven Soderbergh brought a high tension thriller that really provided a natural look at what would happen if there is a pandemic crossing the land. Contagion was a very solid effort. #9. The Monster Squad. This one might be a bit of a cheat, but there is a family at the core of the story. Sean and his dad have a big part of the story and even the mom is involved to a sense and the little sister was the key to bringing Frank around to the good side and she was a virgin. The Monster Squad is not the greatest movie, but man I loved that movie when I was younger. #8. Arachnophobia. This is a fun and yet terrifying film about the little eight legged creatures that were out to kill everybody. I just recently re-watched this film and it felt like a brand new movie to me. John Goodman was great as the exterminator and I enjoyed Jeff Daniels as the lead. #7. The Impossible. The true story of a family in Thailand who have to survive the massive tsunami that struck in 2004. Ewan McGregor and Naomi Watts played the parents and had to go through a tremendous amount of dangers. Young Tom Holland stole the show with his portrayal of the young boy, one of three brothers, and he had to keep his mom alive and moving. The reuniting of the family will certainly bring tears to the eyes of even the most rigid of people. #6. Cellular. Here is one that no one ever talks about and it might be a guilty pleasure, but this film starred Kim Basinger as a mother who had been kidnapped and is trying to find a way to get help and prevent the kidnappers from grabbing her child as well. She is able to get together a broken phone and contact Chris Evans on his cell phone and talk hm through to help her out. The film uses every manner to keep the tension going and is really a fun ride. #5. Jurassic Park. I hadn’t considered this until Rocha mentioned it this morning, but it works fine. Maybe there is not the exact family unit, but there is a father figure, a mother figure, and two children involved here having to deal with the dangers of the island filled with rampaging dinosaurs. The original film hit so many wonderful notes and director Steven Spielberg brought us something that would live forever. None of the subsequent sequels matched the original’s flair and awesomeness. #4. Terminator 2: Judgement Day. Mother and son being chased by a killer terminator and being protected by another. Sounds like a normal family to me. T2 turned out to be one of those rare sequels that surpassed the original as the action was off the charts. John Connor, in many ways, was the parent in this relationship as he did a lot to take care of his slightly off the edge mother. Sarah Connor would do anything for her son and it truly showed as she turned herself into a fighting machine to make sure that John stayed safe. She spent time in a mental institution just to make sure her son had the best life possible. That is until she could not longer stay put. #3. A Quiet Place. I really loved this movie. It had one of the most intense and unlikely theater experiences. The crowd was dead silent and the crowd could almost feel the need to stay that way. Viewing this movie in the silence of the theater really cemented this film. The family unit was fractured from an early film tragedy, but you could still see the love between them and, in the end, that love wound up being an important piece. John Krasinski directs the film and he does an absolutely stunning job of it. The acting by all involved was top notch and really worked with the tone that had been set. #2. The Shining. 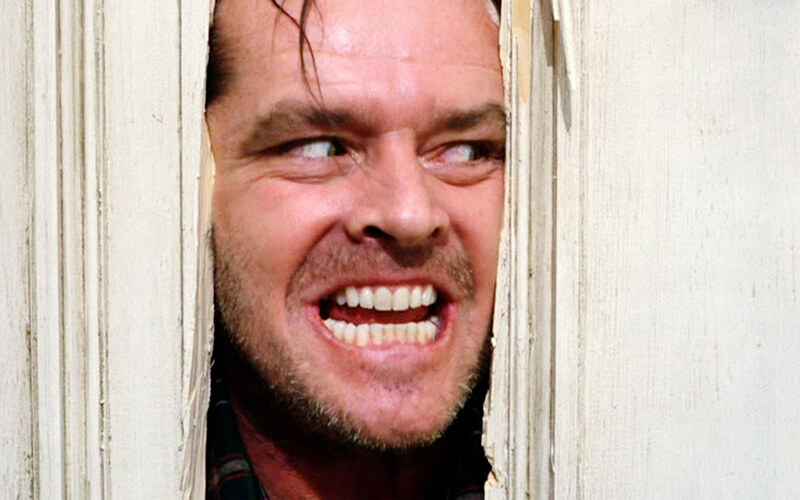 The danger in this film came from within the family as Jack Nicholson, as Jack Torrence, lost his mind and began to stalk his wife and son. There are haunting scenes in The Shining that are frightening to this day. Nicholson is completely iconic as the out-of-control writer who cannot take it any longer. And Danny, the young boy with psychic abilities, is creepy as well. #1. Cape Fear. This was the number one from the Top 10 guys as well, but I had never seen it, and so I decided that I would watch the film before finishing this list to see if it deserves the high ranking. It was amazing. Robert DeNiro was just menacing and felt like a force of nature. Nick Nolte matched him in every scene and I am a huge fan of Jessica Lange. The conclusion of the film was nuts and was frightening. DeNiro, in a role that could have been over cooked in the hands of a lesser actor, is unbelievable as this convicted criminal back to exhume his vengeance on the lawyer that did not do his best to defend him. I am very glad that I took the time to watch this film because it belongs at the top of this list. Honorary Mentions: Lemon Snicker’s A Series of Unfortunate Events, The Purge, Midnight Special, Beetlejuice, Lost in Space, Poltergeist, Sky High, San Andreas, The Babadook, Spy Kids.